'Self Reflected,' a light-animated art exhibit, shows the beauty of information flowing through your brain. 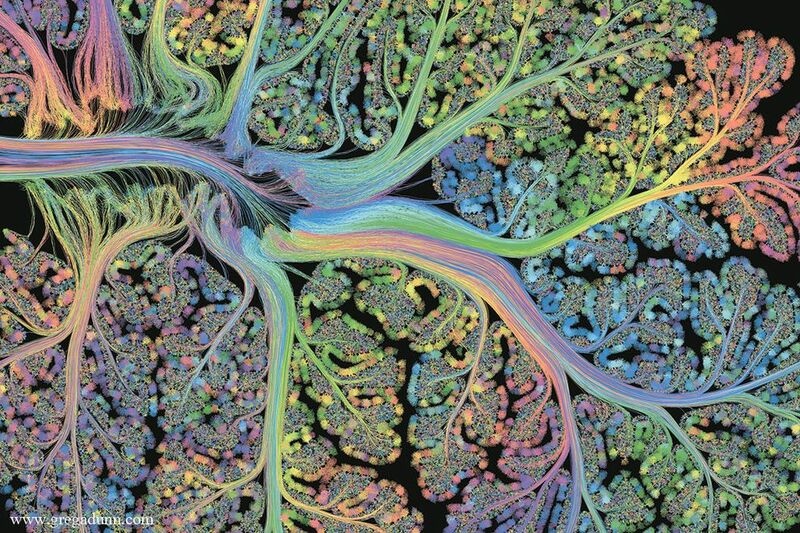 "This is what consciousness looks like," Greg Dunn, Ph.D., a neuroscientist, and Brian Edwards, Ph.D., an applied physicist, say of their art installation entitled "Self Reflected," which is a work of art as complex as its subject matter: the human brain. Dunn and Edwards spent years creating "Self Reflected" because they wanted to figure out a way to show us a visualization of our brains, not just as a lump of grey matter but the dynamic way information flows and which parts of the brain are activated during the process. 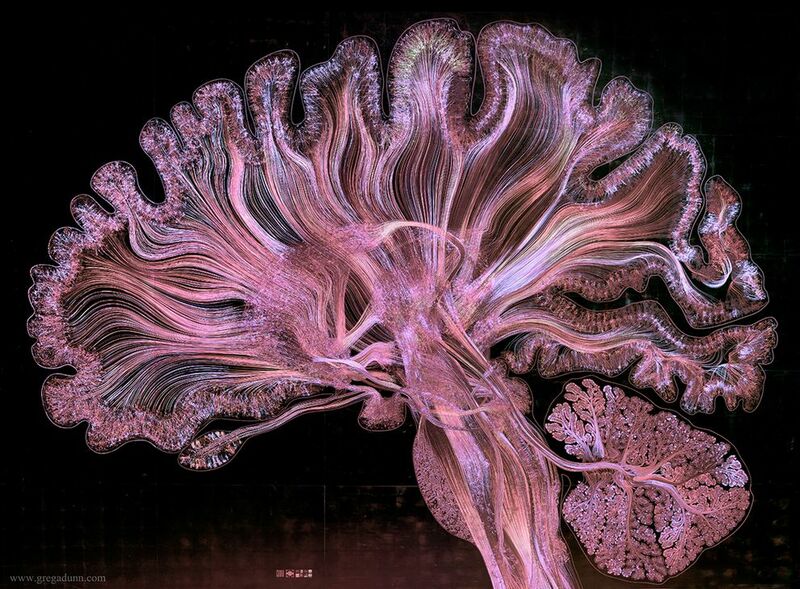 They wanted to show the brain a self-portrait, they say, to bridge "the connection between the mysterious three-pound macroscopic brain and the microscopic behavior of neurons." "Brains are the most awesome thing in the whole universe, and I say that without any qualification," says Dunn in the video below. "It is the most complex object in the entire universe. Every single one of your brains at this very moment is exploding with activity." To show that activity and realize their vision, four years ago they invented a process called reflected microetching. 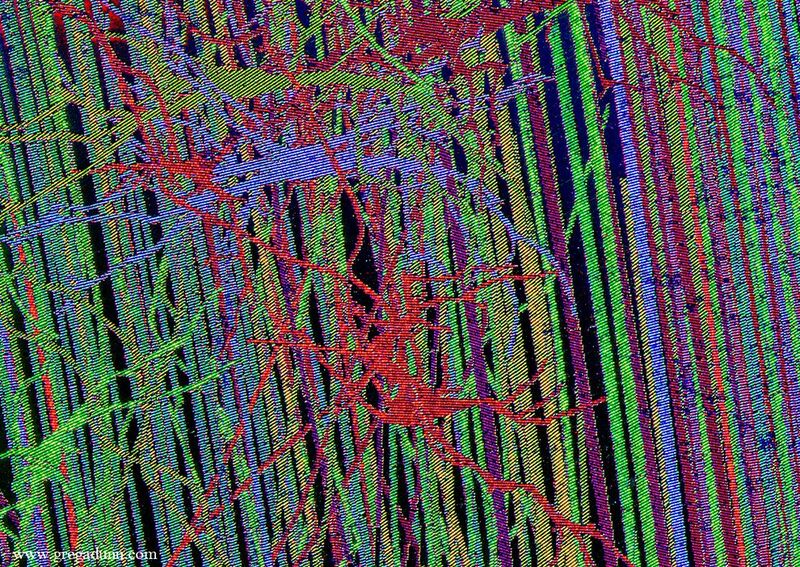 "Microetchings allow us to visualize brain activity by reflecting light off millions of tiny etches engraved in a golden surface," says Edwards. 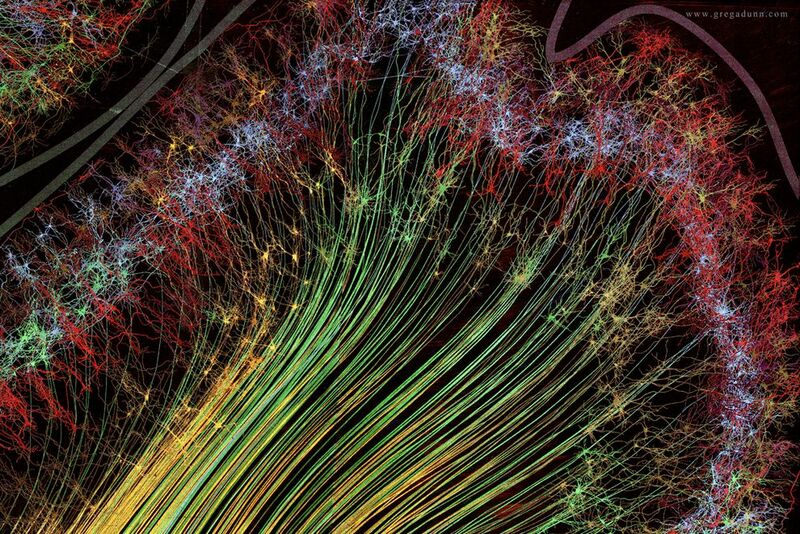 "We mathematically connected these hand-painted neurons into a giant network and then used a computer to figure out how information would travel through this web. The result is like a flock of birds. Each bird is individual but they fly together." 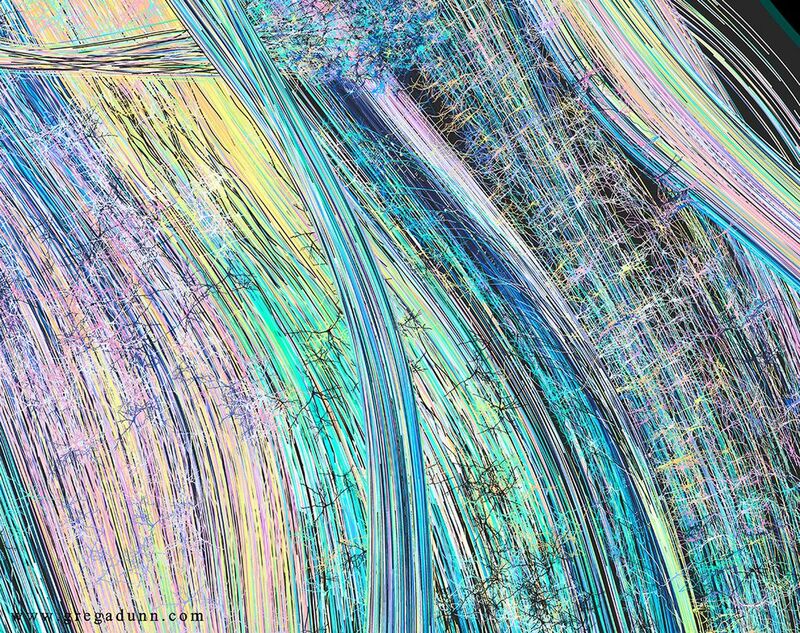 "Self Reflected offers an unprecedented insight of the brain into itself, revealing through ... reflective microetching the enormous scope of beautiful and delicately balanced neural choreographies designed to reflect what is occurring in our own minds as we observe this work of art," the artists write on their website. "Self Reflected" is not a single image. It's not even a series of images nor a video, though it's presented that way here. Instead, it's a slice of the human brain at 22 times the actual scale, made with 25 etched plates and gilded with 1,750 sheets of gold leaf. 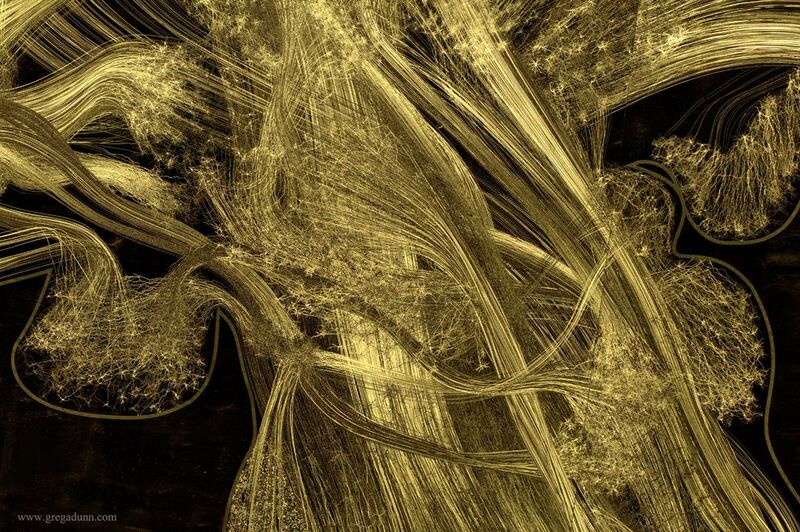 It was made with a combination of "hand drawing, neuroscientific data, algorithmic simulation of neural circuitry, photolithography, strategic lighting design and gilding," according to the project's website. When white or colored light bounces off the golden surface, which is about 8 by 10 feet in size, it animates the circuit dynamics of half a million neurons. 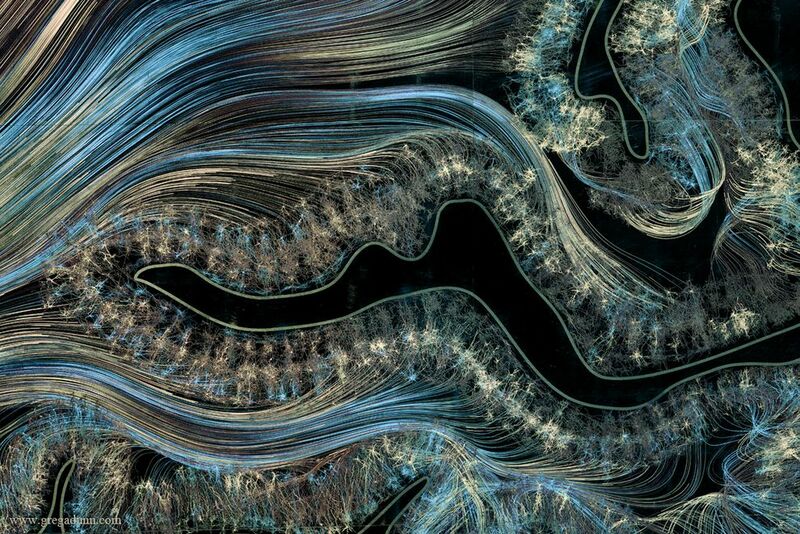 The animation depicts 500 microseconds of “brain time” in an animated loop. "Self Reflected," which took two years to complete, is on permanent exhibition at the Franklin Institute in Philadelphia and surrounded by 144 programmable lights to show off that impressive animation. 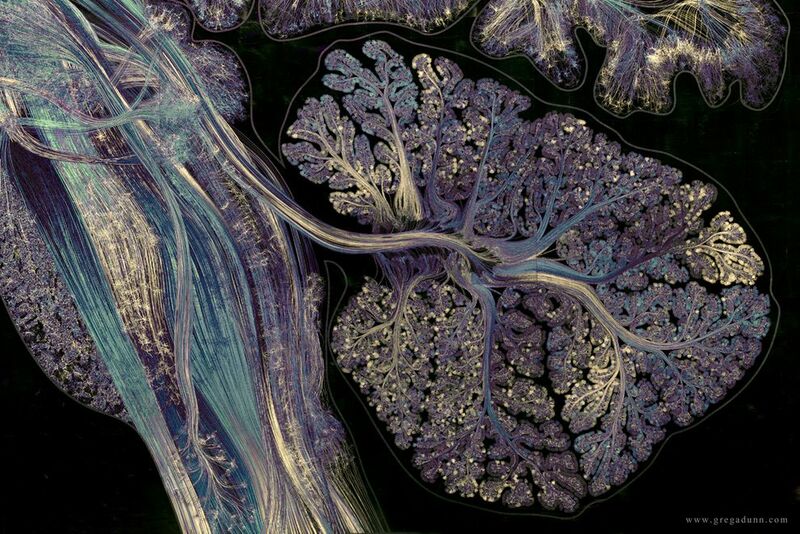 All of the close-up photographs in this article show portions of the brain as pictured in "Self Reflected," so the exhibit not only delights the eyes, but you may learn more about what, for example, the midbrain does or what the parietal cortex does. "After considerable discussion we settled on depicting an oblique sagittal slice of the human brain as this view provides a great deal of variety in structures, interesting circuitry, and avoids the ventricles (fluid filled cavities in the center of the brain) that would simply have appeared as holes in the brain in this view," according to the website. The project was the winner of the 2017 National Science Foundation’s Science and Engineering Visualization Challenge (The Vizzies) in the Illustration category. See all those spider-ish looking hairs running through the rainbow-colored image above? 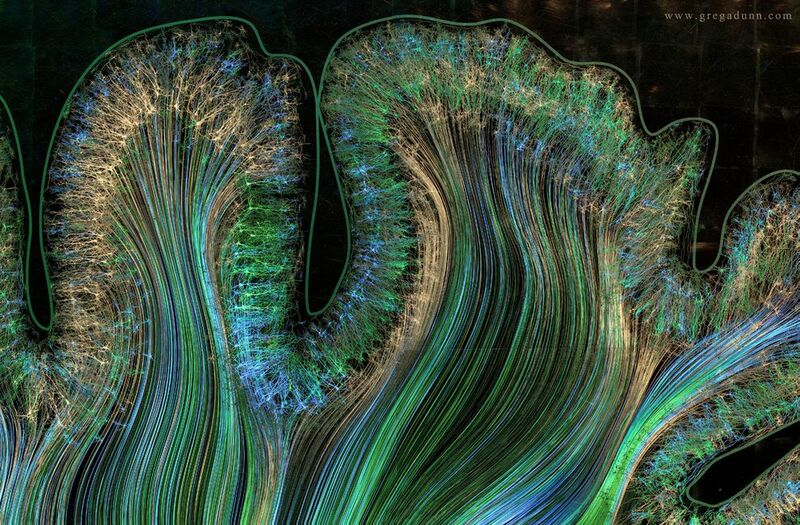 Those are neurons, which are chaotic and spontaneous in nature. To capture them in art, they were painted "using a technique wherein ink is blown around on a canvas using jets of air. The resulting ink splatters naturally form fractal-like neural patterns, and although the artist learns to control the general boundaries of the technique, it remains at its heart a chaotic, abstract expressionist process. 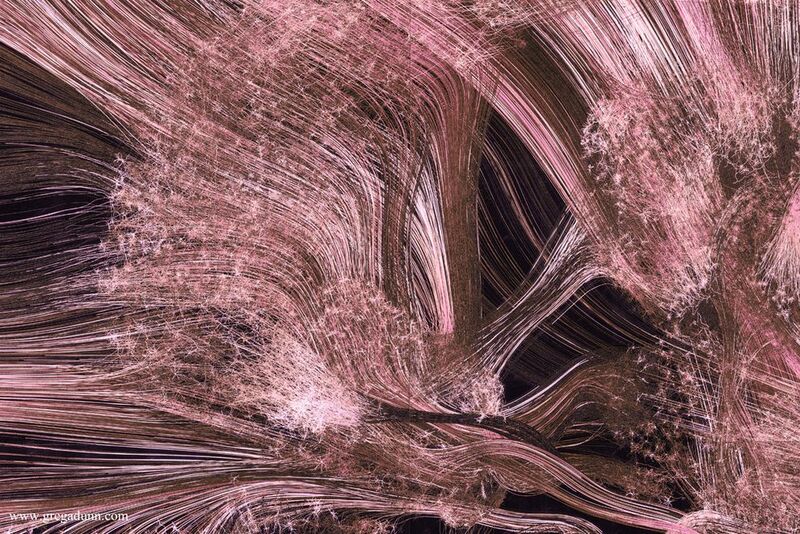 The turbulence of the air, inconsistencies in the paper, variations in ink viscosity — all contribute to variety in neural forms as the technique allows nature to behave how it wants." 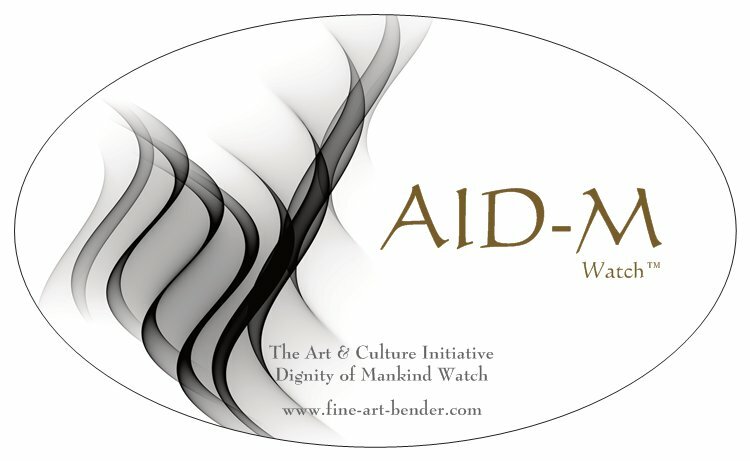 "'Self Reflected' was created to remind us that the most marvelous machine in the known universe is at the core of our being and is the root of our shared humanity," the artists assert. "Abstract art" - "The Code" - "How to crack it!"